If you don’t teach your kids how to manage money, somebody else will. And that’s not a risk you want to take! We’ll show you how to give your kids the head start you wish you had and set them up to win with money at any age. 1. Use a clear jar to save. The piggy bank is a great idea, but it doesn’t give kids a visual. When you use a clear jar, they see the money growing. Yesterday, they had a dollar bill and five dimes. Today, they have a dollar bill, five dimes, and a quarter! Talk through this with them and make a big deal about it growing! A study by the University of Cambridge found that money habits in children are formed by the time they’re 7 years old. (1) Little eyes are watching you. If you’re slapping down plastic every time you go out to dinner or the grocery store, they’ll eventually notice. Or if you and your spouse are arguing about money, they’ll notice that too. Set a healthy example for them and they’ll be much more likely to follow it when they get older. 3. Show them that stuff costs money. 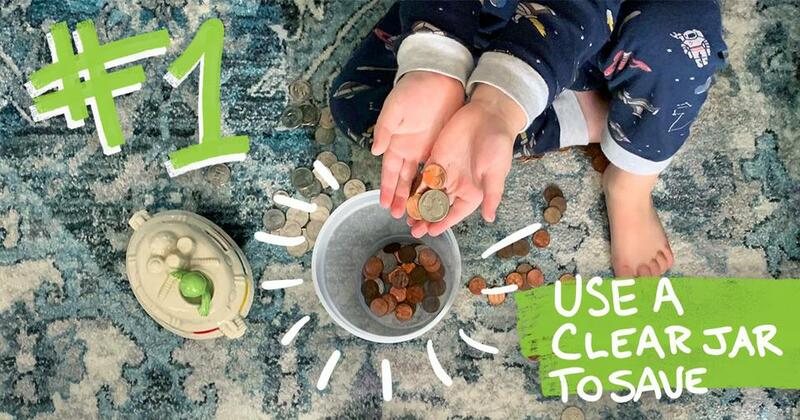 You’ve got to do more than just say, “That pack of toy cars costs $5, son.” Help them grab a few dollars out of their jar, take it with them to the store, and physically hand the money to the cashier. This simple action will have more impact than a five-minute lecture. That’s just another way of saying, “If you buy this video game, then you won’t have the money to buy that pair of shoes.” At this age, your kids should be able to weigh decisions and understand the possible outcomes. 5. Give commissions, not allowances. Don’t just give your kids money for breathing. Pay them commissions based on chores they do around the house like taking out the trash, cleaning their room, or mowing the grass. Dave and his daughter Rachel Cruze talk a lot about this system in their book, Smart Money Smart Kids. This concept helps your kids understand that money is earned—it’s not just given to them. “Mom, I just found this cute dress. It’s perfect and I love it! Can we buy it please?” Does this sound familiar? This age group really knows how to capitalize on the impulse buy—especially when it uses someone else’s money. Instead of giving in, let your child know they can use their hard-earned commission to pay for it. But encourage your child to wait at least a day before they purchase anything over $15. It will likely still be there tomorrow, and they’ll be able to make that money decision with a level head the next day. 7. Stress the importance of giving. Once they start making a little money, be sure you teach them about giving. They can pick a church, charity or even someone they know who needs a little help. Eventually, they’ll see how giving doesn’t just affect the people they give to, but the giver as well. Contentment starts in the heart. Let your teen know that their Subaru (although not the newest car on the block) is still running well enough to get them from point A to point B. And you can still throw a memorable, milestone birthday party without spending a chunk of your retirement savings funding it! 9. Give them the responsibility of a bank account. By the time your kid’s a teenager, you should be able to set them up with a simple bank account if you’ve been doing some of the above along the way. This takes money management to the next level, and will (hopefully) prepare them for managing a much heftier account when they get older. 10. Get them saving for college. 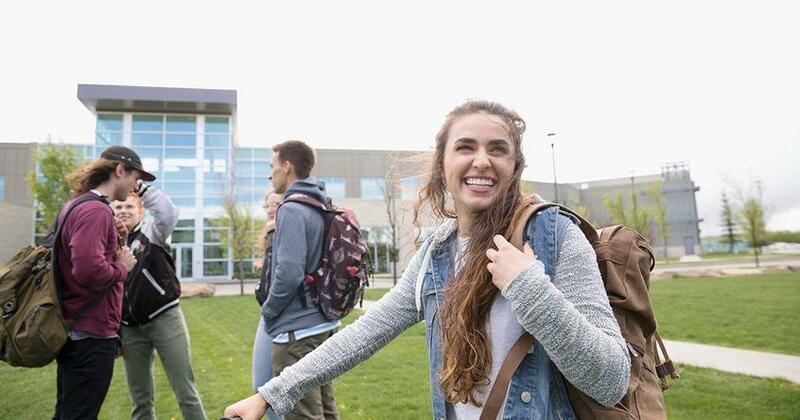 There’s no time like the present to have your teen start saving for college. Do they plan on working a summer job? Perfect! Take a portion of that (or more) and toss it in a college savings account. Your teen will feel like they have skin in the game as they contribute toward their education. 11. 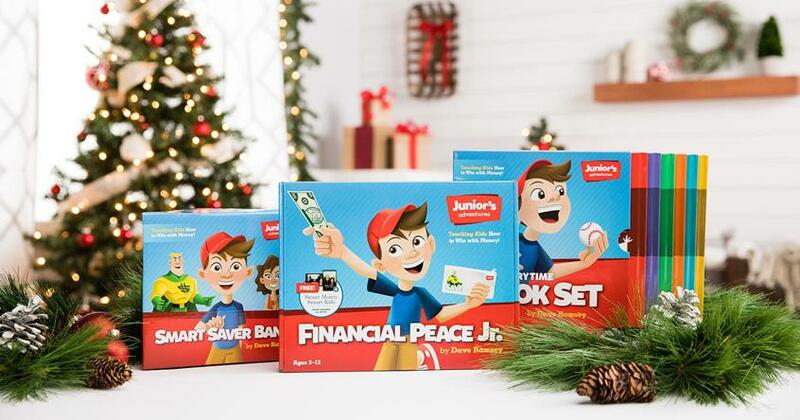 Teach them to steer clear of student loans. Before your teen ever applies to college, you need to sit down and have the talk—the “how are we going to pay for college” talk. Let your teen know that student loans aren’t an option to fund their education. Talk through all the alternatives out there, like going to community college, going to an in-state university, working part-time while in school, and applying for scholarships now. While you’re at it, get The Graduate Survival Guide for them. It’s a must-have resource to help your college-bound teen prepare for the next big step in their life. 12. Teach them the danger of credit cards. As soon as your kid turns 18, they’ll get hounded by credit card offers—especially once they’re in college. If you haven’t taught them why debt is a bad idea, they’ll become yet another credit card victim. Remember, it’s up to you to determine the right time you’ll teach them these principles. 13. Get them on a simple budget. Since your teen is glued to their mobile device anyway, get them active on our simple budgeting app, EveryDollar. Now is the time to get your teen in the habit of budgeting their income—no matter how small It is. They should learn the importance of making a plan for their money while they’re still under your roof. 14. Introduce them to the magic of compound interest. We know what you’re thinking. You can barely get your teen to brush their hair—how in the world are they supposed to become investment savvy? The earlier your teen can get started investing, the better. Compound interest is a magical thing! Introduce your teen to it at an early age, and they’ll get a head start on preparing for their future. 15. Help them figure out how to make money. When you think about it, teenagers have plenty of free time—fall break, summer break, winter break, spring break. If your teen wants some money (and what teen doesn’t? ), then help them find a job. Better yet, help them become an entrepreneur! These days, it’s easier than ever for your teen to start up their own business and turn a profit. Teaching your children about money at any stage is going to take time on your part. It won’t always be easy. But if you want your children to know how to successfully manage their money when they get older, taking the time now will be worth it. One of the best ways to teach your kids about handling money is to give them a chance to make some of their own! With the Teen Entrepreneur Toolbox, you’ll get all the tools you need to help them start their own business and learn real-world skills. Commission is the new allowance!